Disclaimer: This post was sponsored by Lorena Canals in exchange for product. As always, all thoughts and opinions are my own! 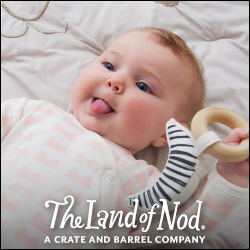 Thank you so much for supporting the brands that make Home Sweet Ruby possible! First I wanted to thank you all SO, so much for the sweet messages about our sweet baby boy last week!! Between the gender announcement and the little kicks I'm starting to feel, this has been such a good week over here! 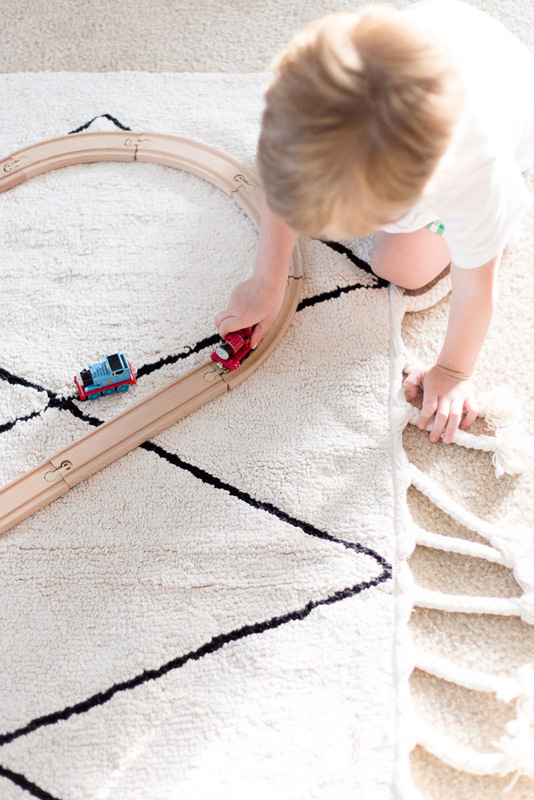 Since sharing our Lorena Canals machine washable rug (yep, you read that right!) on Instagram stories, I've had so many questions about it. I figured a little peek into our playroom was in order so you can see it in action. 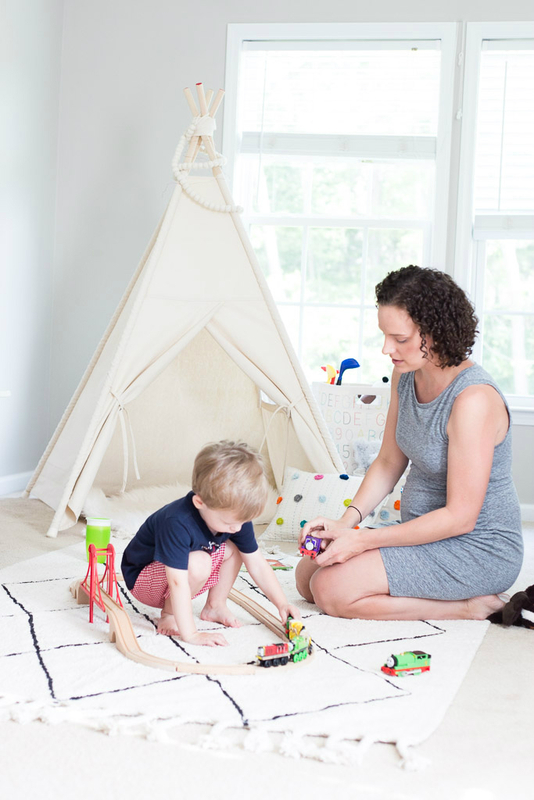 We love spending time in this space with Rowan and the thought of having two boys playing with the menagerie of trains, random plastic golf clubs, and dinosaurs here makes me so excited! Our playroom is in our upstairs loft space so it really helps to keep the mess from view of our guests downstairs, but I love using bins to store all of Rowan's toys. Super easy cleanup. Top it off with the softest Lorena Canals Bereber Beige rug, we've been able to make it a really cozy space for him! And as you can tell he's really into trains right now! 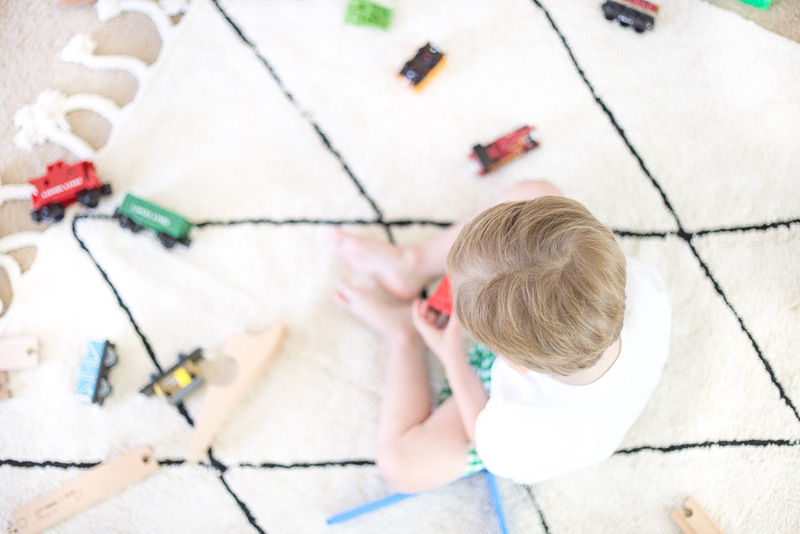 Between crawling around the room pushing his trains on the track, coloring pictures, and reading book after book on this rug, its so much softer than our carpet and easily checks all of our boxes! All Lorena Canals rugs can be put rug into a regular washing machine (even the largest 4'8" x 6' 7" size) so this is a major win in my book! Whenever my toddler inevitably spills his juice or crushes cookies into the rug, off this baby goes into the washer and dryer! And in case you're wondering, yes I've tested it and it washed up so well you would never even know! It's also eco-friendly so it contains no VOCs and only uses natural dyes. I'm actually debating moving it into his big boy room eventually because the design can work pretty much anywhere! 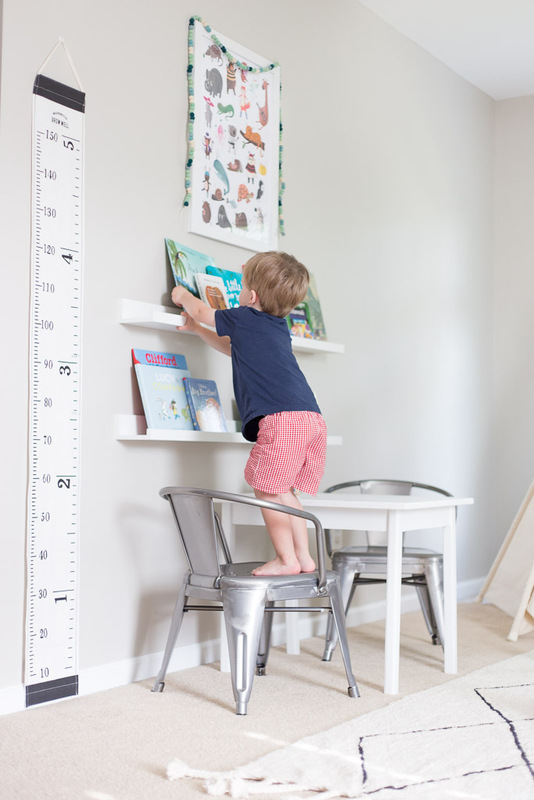 I also love the alphabet print and ruler for measuring his height that we just added to the space. Although for some reason he hates being measured so I've had to mark his measurements based on what they tell us at his doctor appointments. High maintenance kid over here! And in full transparency... this space is never this clean. In fact, in true toddler fashion R promptly took every single book off of the shelf and left them for mama to "read later." On the opposite side of the room we have a couch with some cute engineering prints above. Will share those later this week! I'm hoping to replace the couch eventually.. it's not the prettiest but it serves its purpose. Make sure to check out more of the Lorena Canals washable rugs! I'm also eying this adorable tassel cushion and cozy tassel blanket for a little reading corner in Rowan's future big boy room! 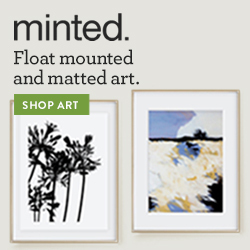 You can shop some of my other favorite additions to the room below! His playroom space is absolutely perfect! I just love it! 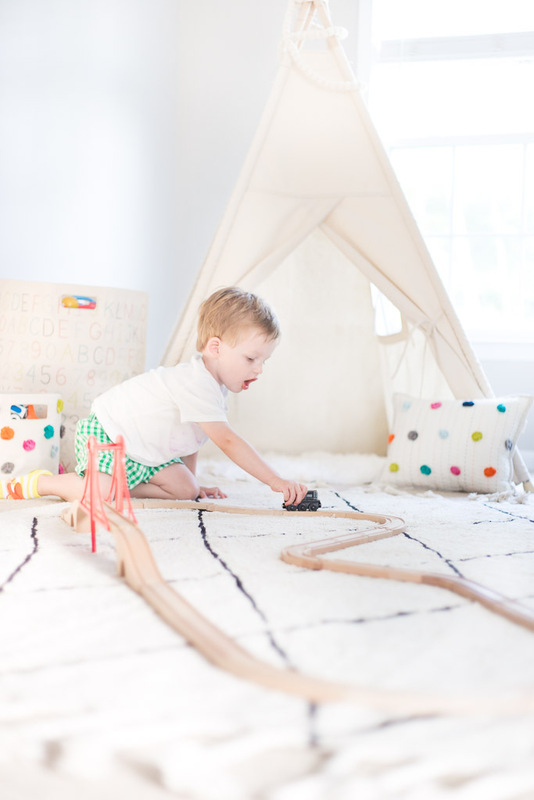 How cute is his little playroom?! I need to get working on Hadleys... and you can bet it's going to include that rug! Obsessed! His playroom space is absolutely perfect! I just love it!. . . I love this space! And how adorable do you look?!? Boy mama looks so good on you!